Nephtys was an Egyptian goddess of the dead and represented one of the greatest mysteries of existence – the journey of death. She was seen as the friend of the dead and as a lady with great wings who transported the newly departed on the evening barge into the lands of the after world. 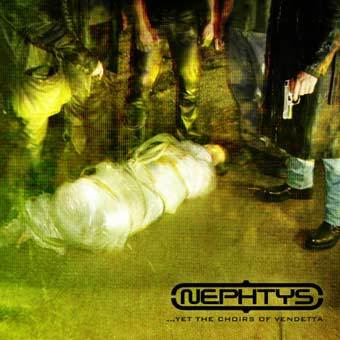 Nephtys is a metal band raving from Portugal. 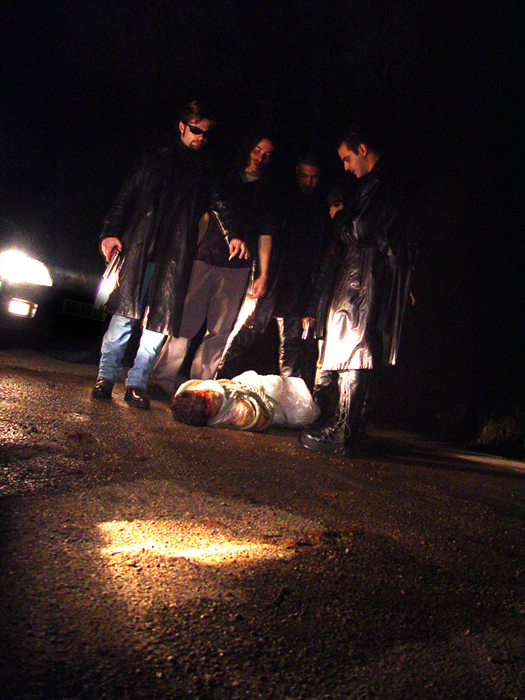 Rolando Barros (actual drummer from Grog, Sacred Sin and Neoplasmah); João Abraços and Nuno Gervásio (both ex Mystical Fate guitar players) are the founders of this project that spread from Hades somewhere in the winter of 2000.
and later on came Raul Vicente (bass). The first invitation for a live performance was in 5ta Feira do Metal de Almada. This live festival took place on the 10th, 11th and 12th of May of the year 2001. Nephtys performed live on the 2nd day of the festival, supporting for Lvpercalia and Squad. The band received high reviews both from the media and the audience that were present at the event. A few months later the line up of the band suffered another setback: three members had left Nephtys permanently, leaving only the founders of this project once again. This did not affect the will of the three talented musicians to carry on making new music and even start the recording of their first studio work; the only negative aspect was that they were forced to stop performing live. As time went by, Nephtys continued recording and also continued the quest for new and talented musicians to complete the band’s line up. After some failed auditions Ivo Conceição came along with is keyboard and bass playing as well as all of his talent towards music and joined the band. With this new acquisition Nephtys were able to explore all of the keyboards excellencies and finally started recording them. Then, to complete the recordings all that the band needed was an extremely good vocalist and that person showed up as a session musician – Bruno Fernandes (from The Firstborn) is an amazing vocalist full of new ideas and very versatile in is work. Not only he can scream but also can achieve high quality in clean vocals. He introduced a new concept in the band’s core concerning the way vocals should sound in Nephtys. So the result of that recording was quite surprising, not only for the older members of the project but for all of us who have listened to this demo CD. This first work is entitled "...YET THE CHOIRS OF VENDETTA" and it’s composed with five original tracks: 1.The Retorics Of Near-Death; 2.Yet the Choirs of Vendetta; 3.Plastic Transcendence; 4.Comedy of Gods; 5.Bridges too Frail. The recordings took place at Undergrind Studio between August and October and were produced by Rolando Barros & Nephtys. This album was released in December 2003, through Nebula Records (a Dark Music Productions agency). Recently, after a few promotion gigs, the band suffered a lineup change again: Bruno left the band and Nuno Santos replaced him on the vox. Ivo is now dedicating it´s full time to sampling, and for his place came Zé Melkor (Neoplasmah). As been said before the band’s sound is characterized by being both aggressive and melodic with raging guitar playing, aggressive drum works, screaming, raw and clean chorused vocals combined with all the dark ambient produced by the keyboards. Any particular band does not influence them. They simply like all kind of different types of metal music and consequently that will end up by influence them in their creativity as well as in their way of composing songs.